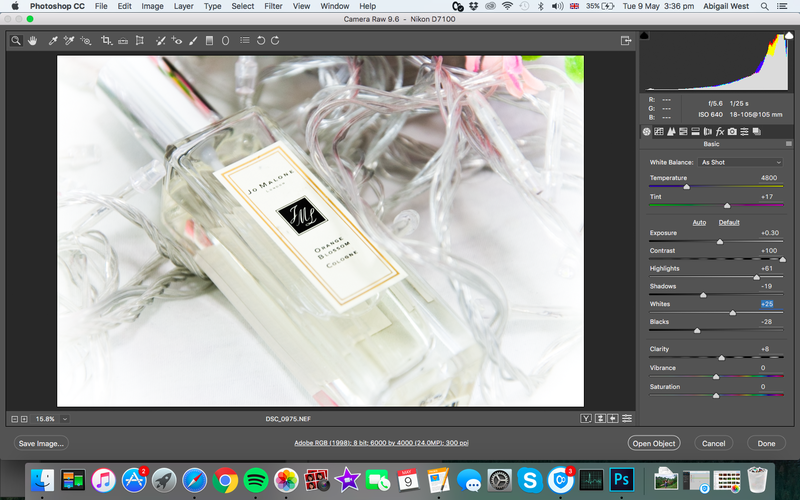 A few weeks ago I did a ‘How I edit my Instagram photos‘, so I thought I would share how I edit my blog photos as the processes are both completely different. The Instagram method is a lot easier and less time consuming, whereas this process has a little more difficulty to it and involves using more complex tools. 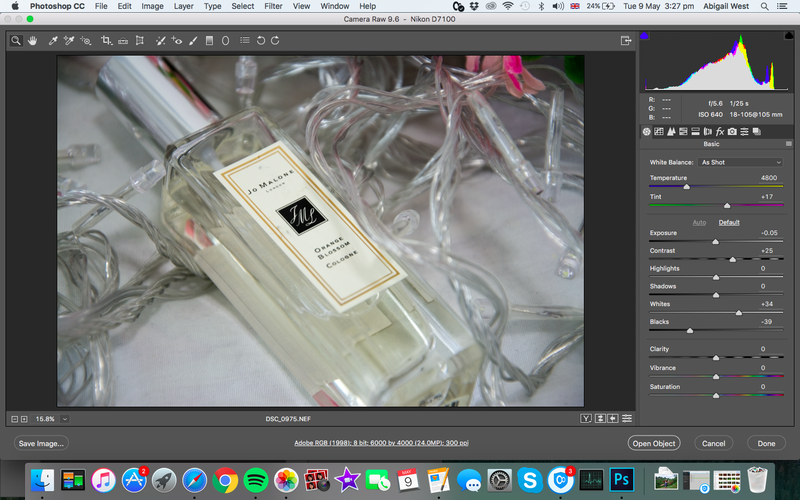 Programs I use: I only use Photoshop because it has the exact editing tools I need to produce the look I want. To get this look, you do need to have Photoshop installed onto your computer, and you need the memory card from your camera inserted into your laptop/computer to access the photos you have just taken. I only use photos taken from the camera so it won’t work the same with phone photos. 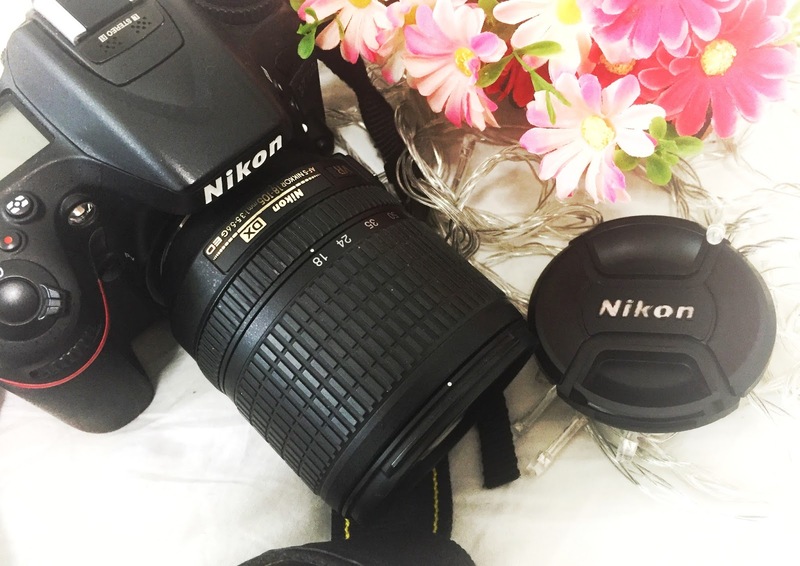 The camera I use is a Nikon DSLR D7100. I start by inserting my memory card into the slot built into my laptop. This will open up into Photos which we don’t want so you can quit that instantly. (We don’t want to upload any photos onto the computer at this point!) 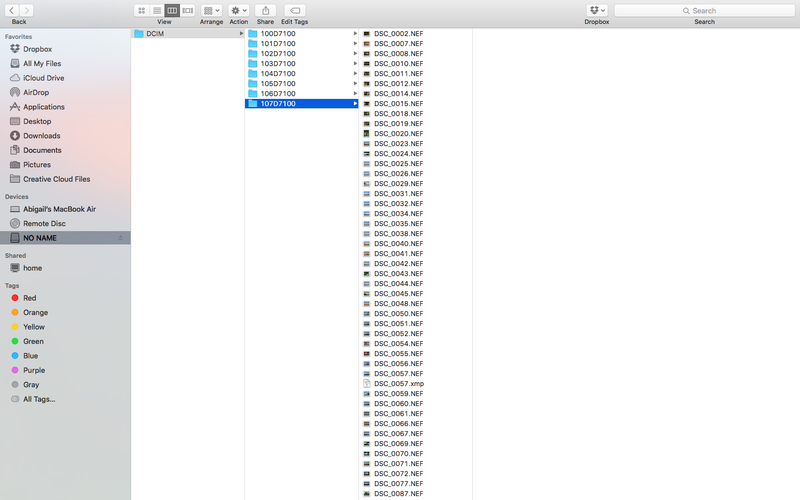 We want to open up the photos in Finder, my memory card is found under NO NAME. Locate your photos in the DCIM folder. 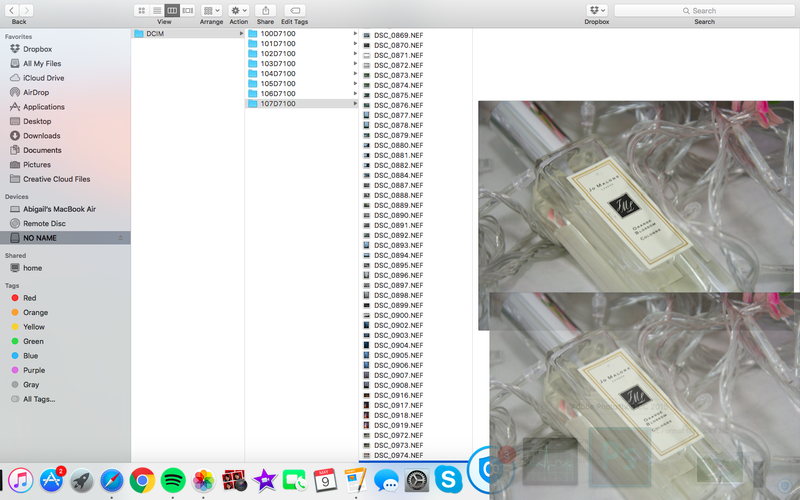 Select the image you want to edit and drag it from that folder (basically the memory card) and insert it into Photoshop. This should automatically open up Photoshop. 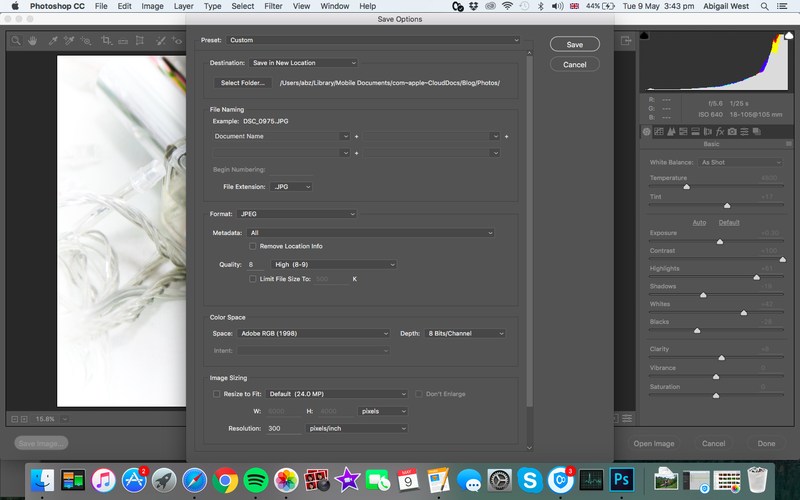 If not, go into Photoshop, File > Open > (your memory card name) > the photo you want to edit. This is what your photoshop should look like as soon as you open up your image. The first step I take to editing the photo is by clicking on the Auto button under the Basic settings. This will adjust the settings slightly, sometimes more than others depending on the contrast/brightness and colour of the photo. Before adjusting the Basic settings further to my preference, I go to Lens Correction where I can increase the Vignetting Settings. I like my photos to have a bright look and think adding a Vignette effect achieves that look. I edit the Vignette effect on the Manual and Profile settings (make sure you enable the profile corrections.) This will adjust the distortion setting too but you can re-adjust that to your needs. I go back to the Basic settings and make any alterations I want to make some finishing touches. I usually have a high contrast, increase the exposure only slightly, strengthen the highlight, adjust the whiteness, decrease the shadows so the blacks come through (you can also do this with the Black setting) and occasionally increase the clarity to add a little definition to the photo, if needed. To save the image, go to the left bottom to find Save Image. Go to Destination and select a place where you want the photo saved (obviously not on your memory card). And there you go. It is actually quite simple once you figure out how to get that setting on photoshop opened up, as the original photoshop editing section is very different and more complex. Sometimes I will have to do a little more editing to the photo if the photo is not great quality to start with. What tool(s) do you use to create your blog photos?